You can see from my photos in the last post that my silk crepe had a wide pattern repeat of two different dots and lines. It’s a really cool pattern and what promoted me to pick it up off the remnant table even though it was only about 1.1 meters worth. With such a limited amount of fabric the challenge is always pattern placement and I really had zero room for error plus I wanted to make the most of the design. So, in keeping with my nerdy sewing tendencies I sat down at my computer and ran through the options…now this might seem a little bit over-the-top for most of you but I had fun doing it and that’s really what matters right? 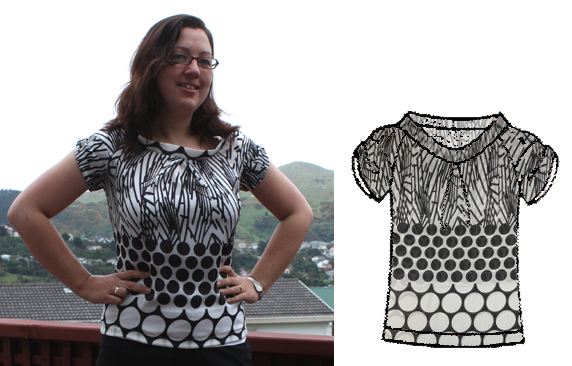 I’m going to cover the contruction of this blouse near the end of this post but first I’ll share a kind of advanced tutorial following on from my Photoshop & Gimp visualisation tutorials. I’m going to briefly cover some more advanced techniques. I’ll show you how I cheated a tiny line image to make it workable and how to get the correct scale for your fabric print. If you like what you see and you’re keen to do something similar you should read my original tutorials first. Tiny Images: Because my magazine line drawing image was so tiny (about 1.5cm x 1.5cm) I scanned it at 600dpi. This is a good trick to make the image appear larger. I say “appear” because your image is still really actually the same size but you can view it larger without it looking blurry if it is at a higher resolution, plus when you drop your fabric into the image it won’t get all pixellated. Your scanner will probably freak out at this point and bring up a message asking “are you sure? !”, suggesting a lower dpi and threatening that it will take a long time etc blah blah but just tell it to do as it’s told, it’s only a small image and the world really won’t come to a grinding halt if you go around recklessly scanning things at a high-resolution! 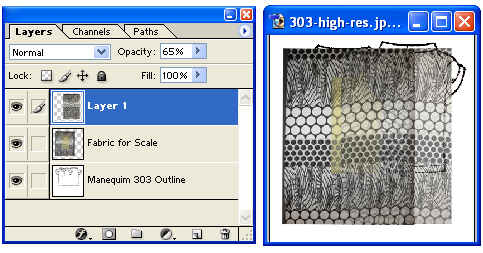 Scaling the fabric: For this example my fabric scale was really important for accuracy. I took two photos of my fabric, the first (above) is the “clean” shot you would normally take to use in the manipulation, the second (below) is for scale. 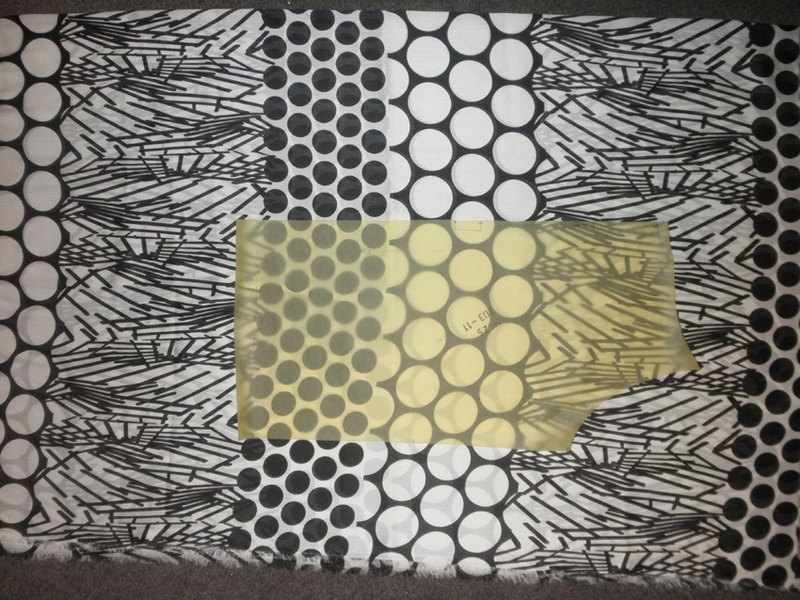 The yellow pattern piece is now about the right size. I think the proportions of the line drawing are a little off but this is close enough for me. Next I dropped in the “clean” photo – I put the opacity of the first photo back up to 100% and lowered the opacity of the new photo. Same deal, scale it to match the first photo. 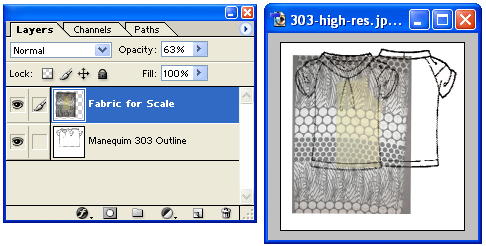 When you are happy with it you can delete the “Fabric for Scale” layer and put the final fabric layer’s opacity back up to 100% and continue on as normal. I started with a few basic orientation trials and here are my results. Then I got a little more clever (or nerdy, take your pick) and selected my 3 favourites to add in a bit more details. 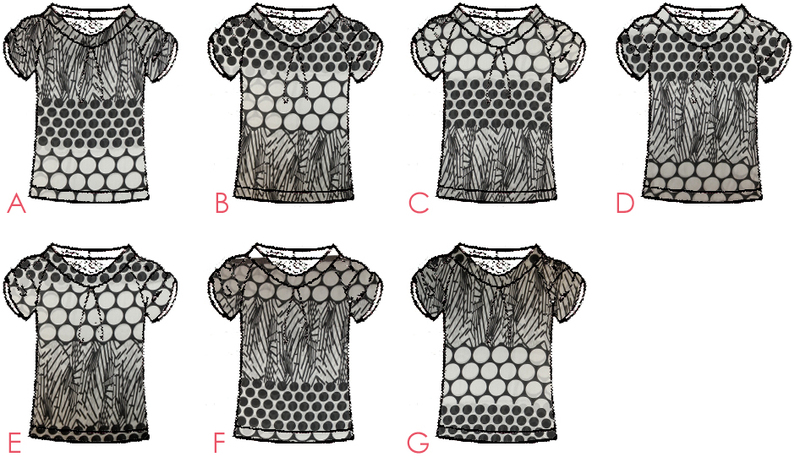 I’m going with A, B & C and now I’m going to be a bit more realistic about my pattern placement. I laid the actual pattern pieces out on my fabric as I went so that after cutting out the front and back I could see what bits would be left over for the sleeves and collar. 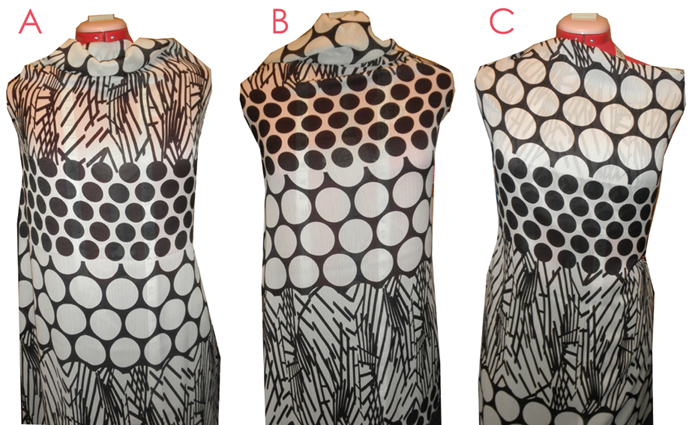 I think this image above corresponds with option B.2 below – to make these more complex images I just made multiple copies of the fabric layer and moved and rotated them to fill in the sleeves and neck line. The quick among you will have already noticed that the final blouse didn’t end up exactly like this, but it’s pretty close. I originally laid the body out higher up on the my fabric thinking that I could also get the collar out of the lines but in the end I moved the whole thing down to make the most of the darker spots and their (hopefully) waist minimising properties. This meant the neck ended up out of the big white spots but I actually like it better this way. So, on to the construction. It’s quite an easy blouse to put together, the most complicated looking part is the sleeves and when you break them down they really aren’t that complicated at all. 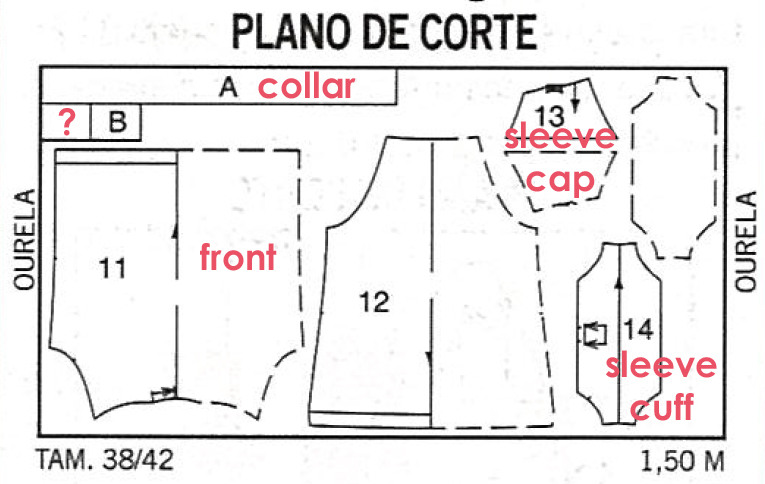 All pieces are laid out on a flat piece of fabric (not folded) – ourela means selvages – this piece is shown as 150cm wide and you need 0.9/1.0/1.2 meters depending on which size you cut and a little bit more if your fabric is a narrower width but I find Manequim are quite generous with their pattern layouts. 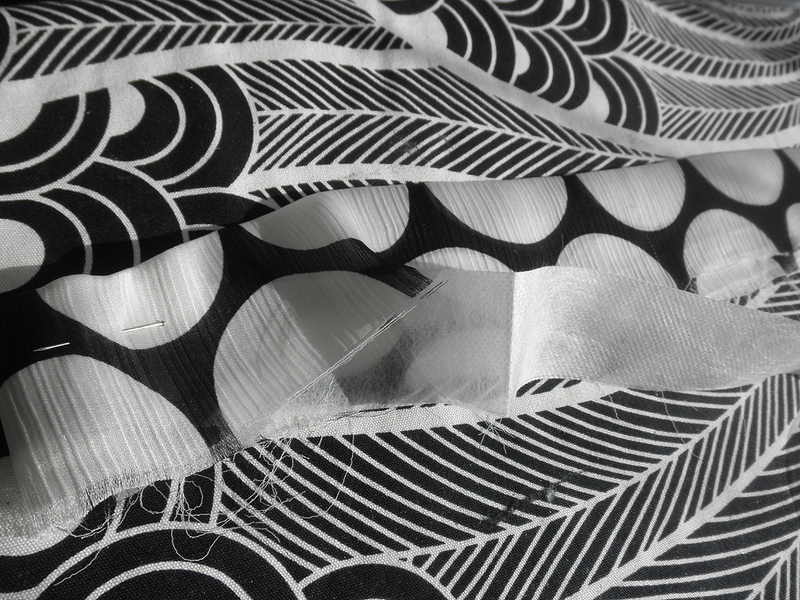 Don’t forget to add your seam allowances before you cut out. B – I have no idea….and I didn’t find out during construction either…any suggestions? Anyone know Portuguese? It’s labelled as Alça. So as per usual my first step is to address any pleats and darts. 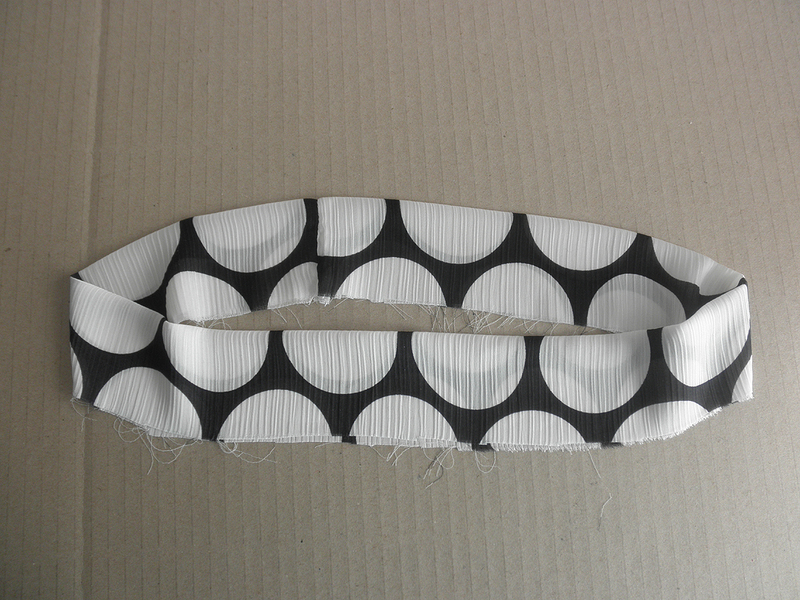 We have one in each sleeve cap and another at the neck of the front pattern piece. 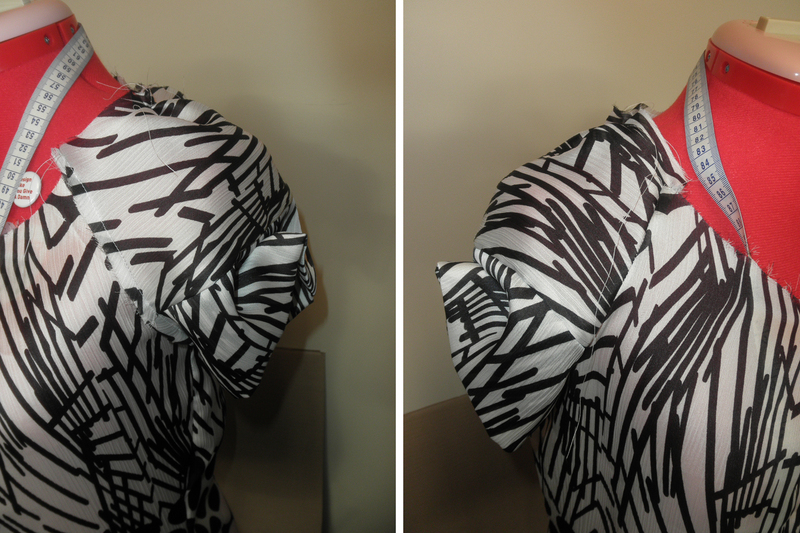 The only pleat I didn’t pre-sew was the once shown on the sleeve cuff. You can probably tell that there is a lot of extra fabric outside the seam line. I discovered right away a flaw in my plan for using French seams. 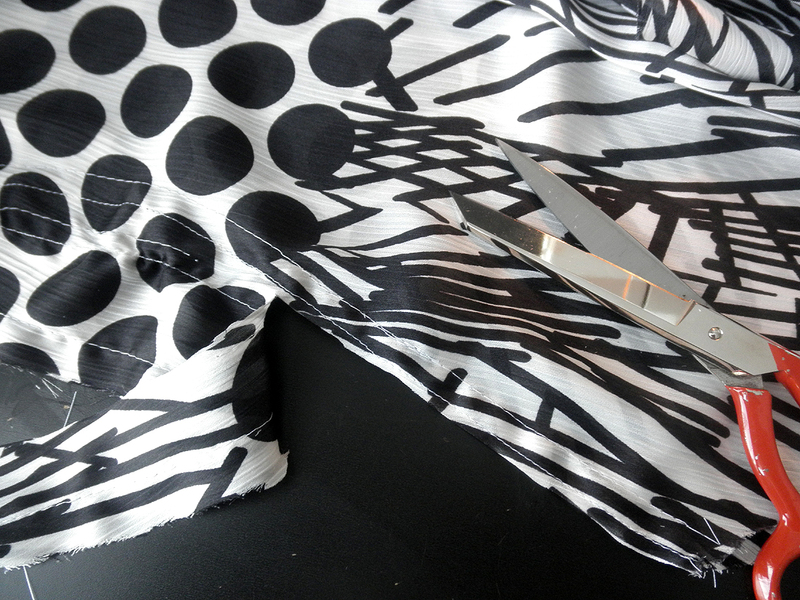 I always adjust the side seams of my tops on me as I sew. 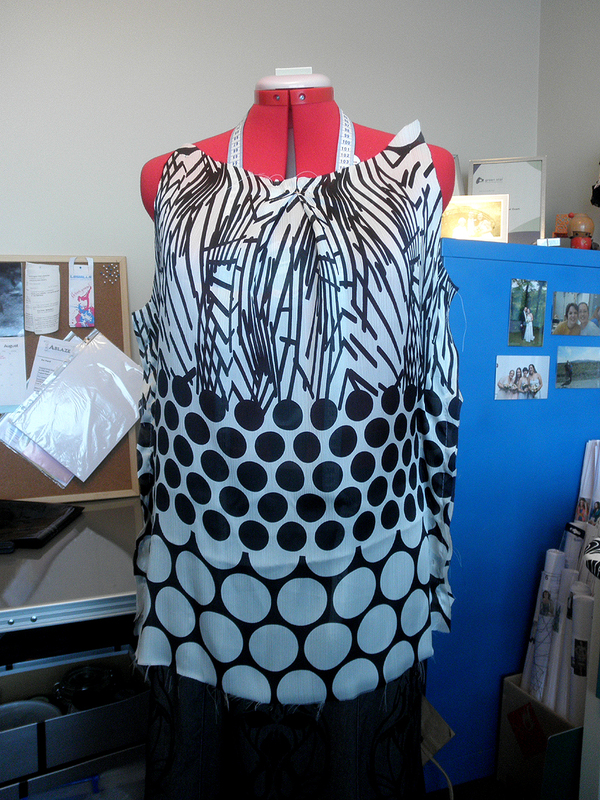 I cut a pattern out to fit my hips/bust (in this case, Manequim size 42) but my waist is generally smaller. If I don’t grade it in at the time of cutting it I usually just adjust on the fly as I sew. You just can’t do that with French seams, once the second line of stitching is done that’s it! So I basted the top on myself inside out and took it in until I was happy with the overall fit. I did it a little at a time because the lack of closures means I had to leave enough ease to be able to get in and out of it. Once I was happy I trimmed the seams down in preparation for the “Frenching”. 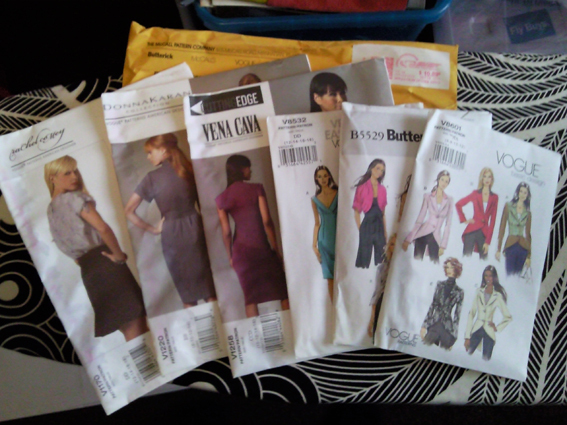 Yup, I am definitely making “Frenching” a part of my usual sewing vocabulary. If you click to enlarge the photo above about you might be able to just make you the numbers at the corners of each piece. The great thing about Manequim patterns is they number their seams so you can easily work out which piece to attach to which. Here you can see the sleeve cap with the cuff below. You fold the sleeve cuff in half and line up the numbers 1’s. The numbers 3 & 4 at the top relate to the shoulder points on the front and back pieces we assembled earlier and will help you put the each sleeve on its correct side. For good measure the number 5 helps with this too so take the time to trace and if you pay attention to them and it will save you many tears later on. So here they are in fabric, you can now stitch seam number 1, attaching the cuff to the sleeve cap. Sew the pleat in the cuff next by folding the cuff up at the marking, right sides together, and sew a line of stitching as marked. You can attach your sleeves now, use the numbers to help you line things up. 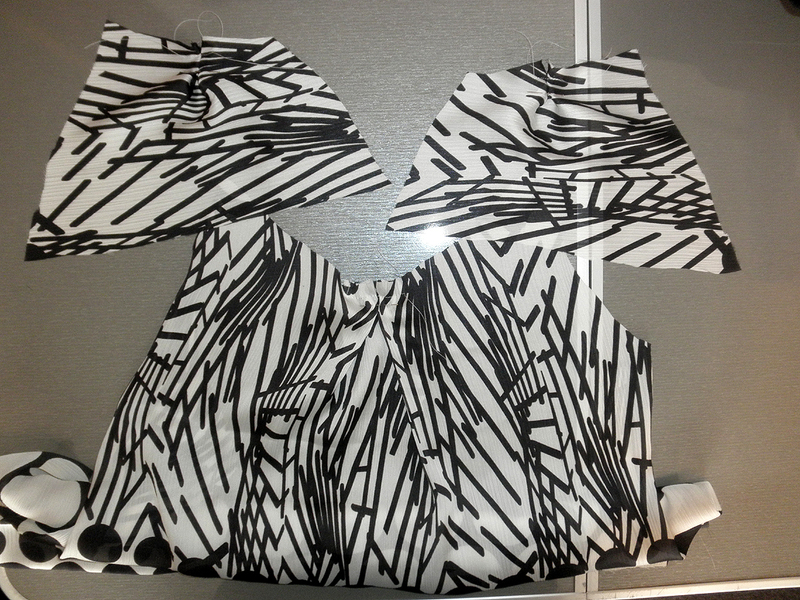 Above you can see (on the left) the sleeve attached pre “Frenching”, and (on the right) finished. 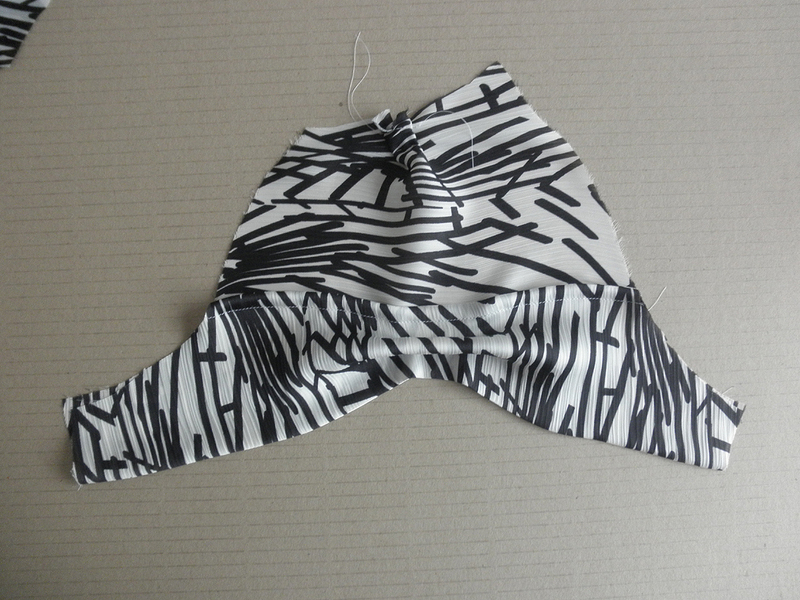 Join the ends of the neck rectangle together and fold in half, wrong sides together. Now here is where I made the mistake with the neck and had to unpick it twice! I did that silly thing where my brain suggests something while I am sewing and I completely ignore it only to concede later on that it was correct from the start and then I end up unpicking something. In this case it was a whispered suggestion to interface the standup collar since the silk is so flimsy there was no way it would stand up by itself. But the other voice, yes sometimes there are two, said, “don’t be silly, interfacing will look terrible, you’ll be able to see it and besides, the collar will probably be helped by the French seams”. When I tried on the top for the first time after attaching the collar I noticed immediately that voice #1 had been correct. The stand-up collar was actually a floppy collar. So I marked my hem (the reason for the try on) and then sat in the sunshine unpicking the collar. I wasn’t looking forward to this because the fraying was getting pretty bad. 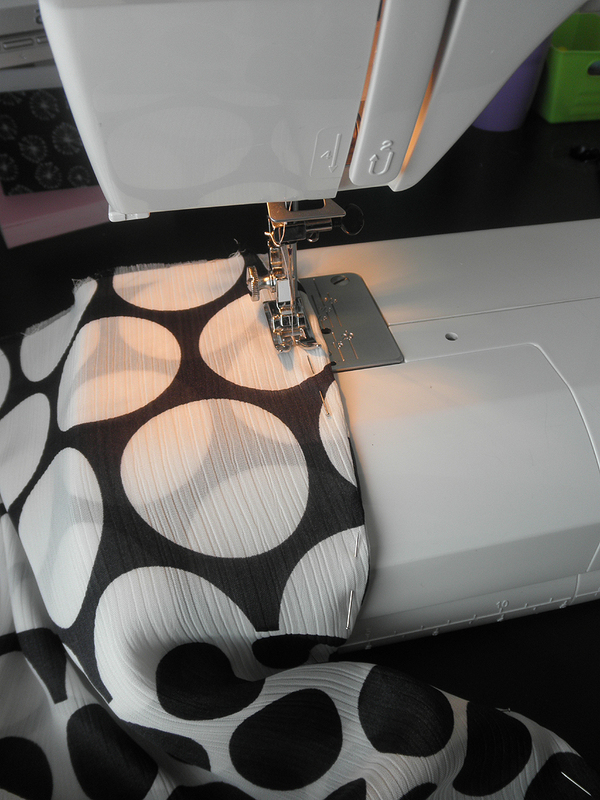 Interfacing and I aren’t really enemies but I wouldn’t say we are friends either. I do use interfacing when a pattern calls for it but that of course means I read it in the instructions…in English 😉 I am learning slowly more about interfacing and this was a pretty good learning moment for me. 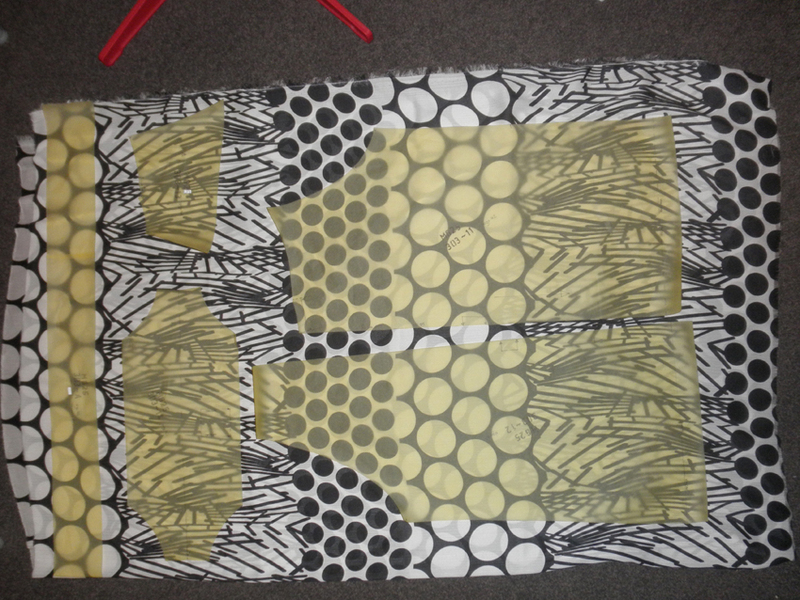 Firstly to actually use interfacing, and secondly, not to over do it. 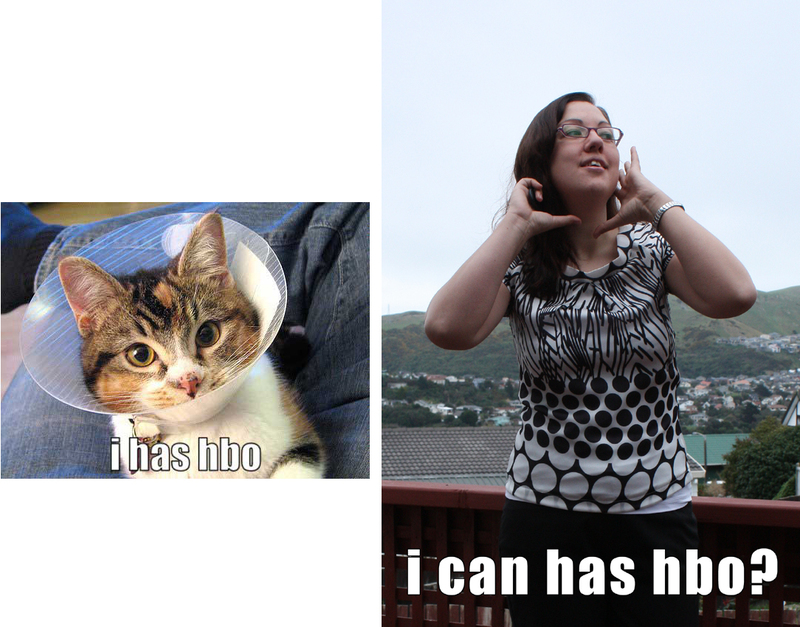 My first choice was a waaaay- to-stiff fusible and I was starting to look like previously mentioned HBO cat. Back to the sunshine drenched lounge I went with the blouse and my unpicker. The fraying was by now almost completely un-salvageable (cue evidence above) and I knew I would have to alter my seam lines to compensate but in the end it ended up being a good thing. 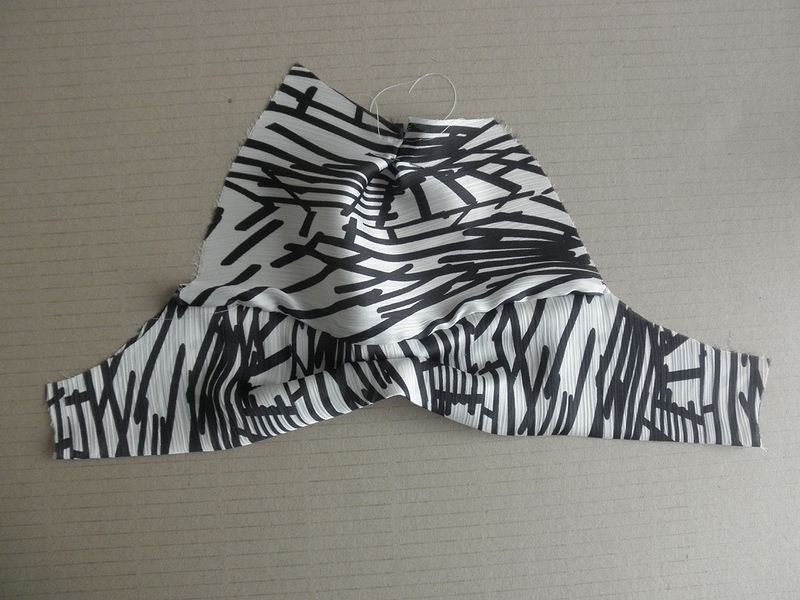 So I was more careful with my second interfacing selection. I tested several options with my scrap left overs and it turned out a super lightweight non-fusible was the best option. I wanted the collar to stand up but not look like it was being stood up if that makes any sense 🙂 so I went to work. There were two bonuses in all this. The first was that as I tried on the top I noticed that the back rode up a little too high in the neck line and at the sleeves so it meant I could correct this fault at the same time as re-attaching the collar. 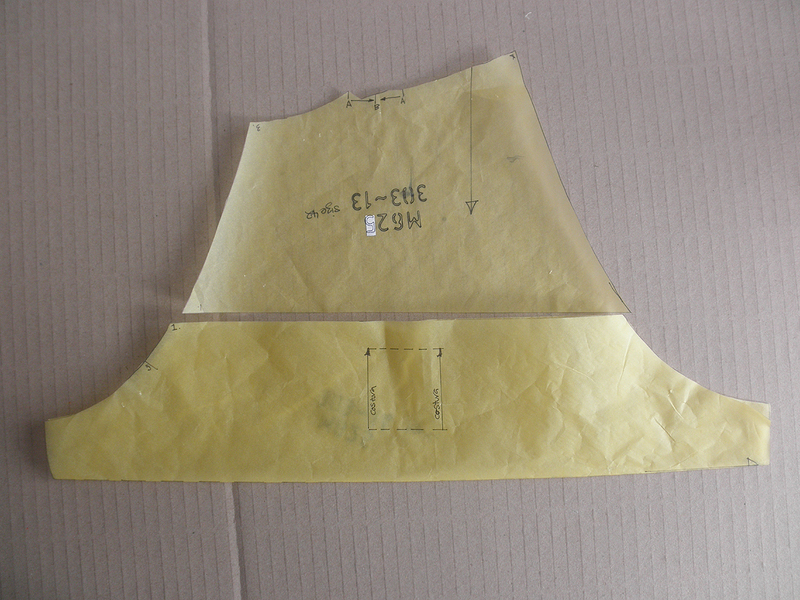 Secondly, due to the horrid fraying the collar height ended up reduced by about 5 millimeters. Now that doesn’t sound like a lot but I much prefer the new height. After attaching the collar I hemmed the bottom by overlocking the lower edge, folding to the inside and I chose to top-stitch it in place. 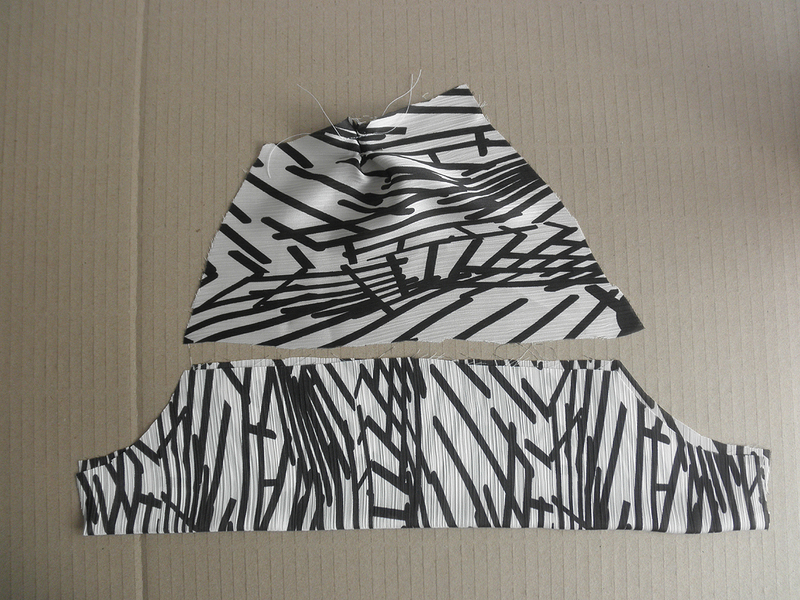 In other exciting news: Patterns! Excuse the crappy cell phone pictures, I was too excited and too late for work to get out the “real” camera. I made an order at BMV.com when they had their sale just over a week ago. I really wasn’t expecting them to arrive so quickly. My last order I made from Western Australia took almost 3 weeks and these ones took significantly less, 9 days to be exact. 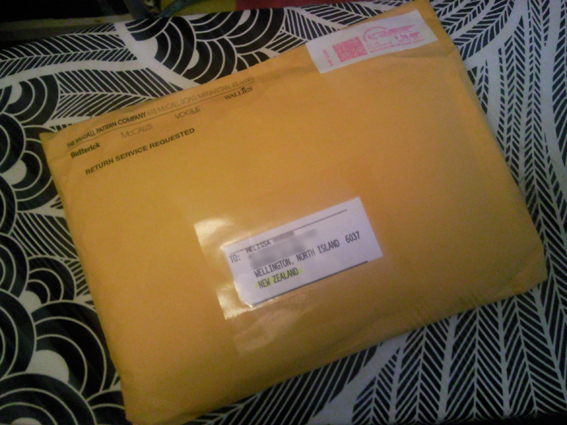 In fact they got here so quick they ended up a little wet from being out on the door step over night since I didn’t bother to check for them. But they will be OK, it’s just on the bottom edges of the envelopes. 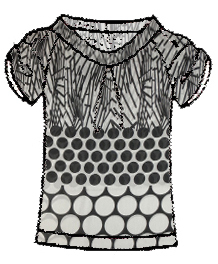 This entry was posted in Sewing a Foreign Language, Sewing Projects and tagged 303, 625 by thecuriouskiwi. Bookmark the permalink. Thanks for sharing that. Cute pattern btw, is that a Patrones or a Mannequim? What issue is it from? Hi Mel, your blouse is just beautiful! It looks gorgeous on you (very bombshell!) and I love the pattern placement. 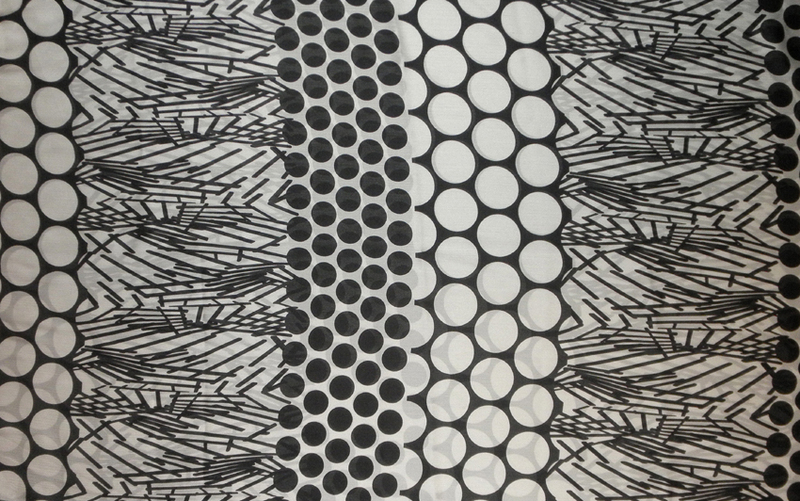 What an interesting sleeve pattern too. 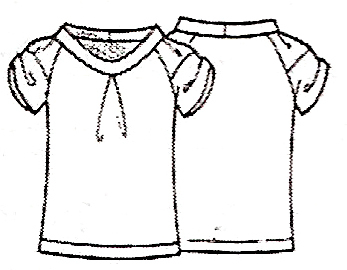 Alca – strap or hanger. 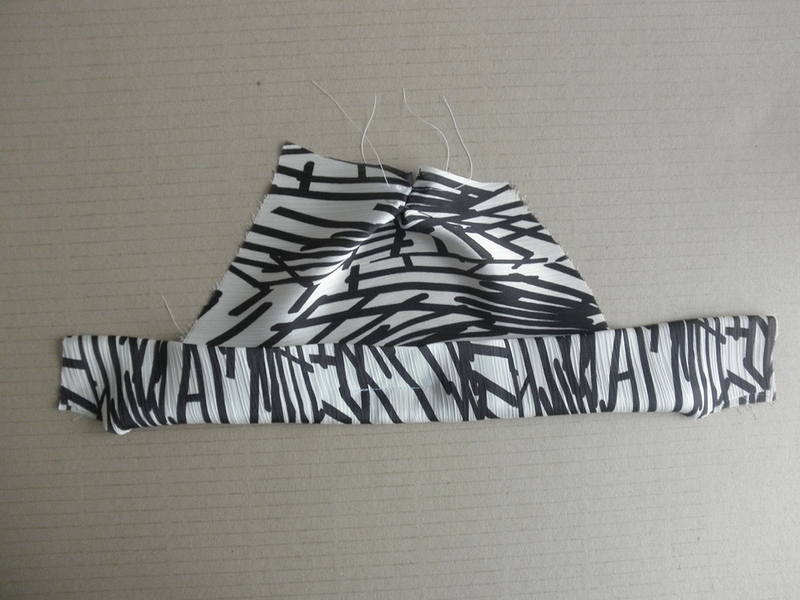 Maybe little tabs inside the shirt (top of sleeve) so you can hook it onto a coat hanger? By the way, love the blouse. I have just managed to order my first back issue of Patrones (issue 290) and am hoping I manage with the language!